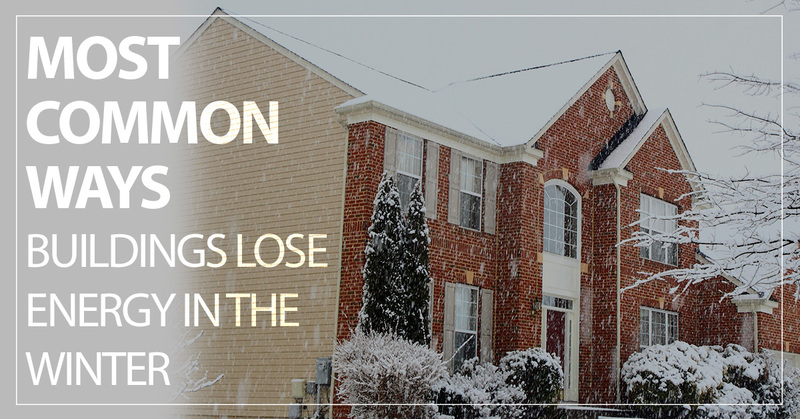 When temperatures drop here in New York, it’s not uncommon for electric bills to rise. When a house isn’t thriving in regards to efficiency, it’s inevitable for this to be the case. Unfortunately, there are so many homes that struggle with inefficiency on a routine basis and are never aware of how much it affects them. That’s where we come in! The team at Energy Network Solutions works tirelessly to ensure that commercial buildings are in a condition where they are making the most of the energy that they’re paying for. With the colder weather settling in, we felt it was important to touch on a few of the most common ways that buildings lack efficiency and lose energy so that you can properly prepare for the cold months ahead. Maintaining temperature in a building is possible through the air flow that your HVAC unit pushes. This unit works hard to maintain the temperature of your commercial building during both the warm and cold times of the year. The downside is, the more work that your unit is doing, the more you’re paying for. When you factor in the fact that your commercial building could have air leaks that are allowing for this warm or cool air to escape, then you can guarantee your HVAC unit is doing at least twice the amount of work — that means the costs are doubling! If you’re noticing that your electric bills are higher in the winter, there’s a good chance that there are air leaks in your commercial building that are letting warm air escape. Getting these air leaks taken care of is all that you’d need to maintain this efficiency problem. While it’s not the first thing that people think about when it comes to efficiency, the lighting within a commercial space plays a major role in the overall level of efficiency. With a commercial building, you have a lot of space to light up and when you’re doing it with light bulbs that aren’t taking efficiency into consideration, you can bet you’re paying for it. The smallest switch of outdated light bulbs to LED bulbs could drastically improve the efficiency levels of your commercial space. Determining the efficiency of your commercial space will take various things into account. From the thermostat that you have installed and the temperature that your space is set at to the age of the building and the updates that have been done to it, there are usually various things that play a part in how well your commercial space is maintaining its efficiency. The only way to truly take care of the problems contributing to your energy efficiency problems is to know what problems you have on your hands. The best way to get a comprehensive understanding of them all is by having a high-quality audit completed for your commercial space. The team at Energy Network Solutions can provide you with the information that you need to improve the efficiency of your building. Contact our team today to learn more about the process of receiving an audit. Our team would be more than happy to schedule an audit for your commercial building and determine what can be done to improve the efficiency of your business.